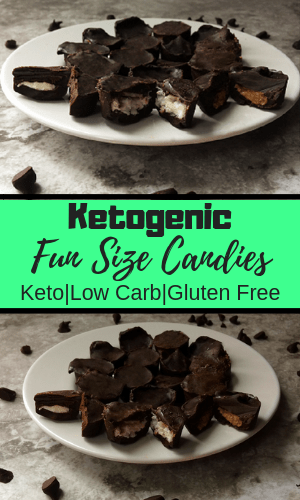 This is my take on popular fun size chocolates but made keto friendly. Who doesn’t feel like a big kid when they have fun size candy? 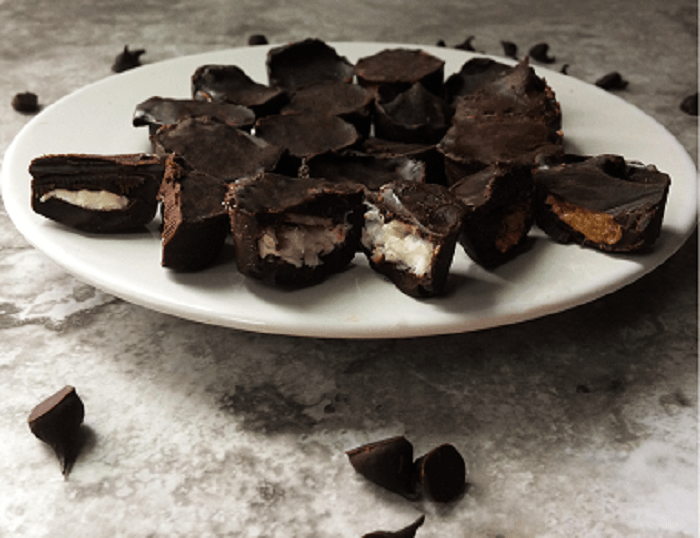 I have a keto version of peppermint patties, almond joy, and peanut butter cups. A little twist with the peanut butter cups is that I used our peanut butter with chia and flax seed recipe. It just makes it a bit more special, but you can use regular peanut butter if you prefer. 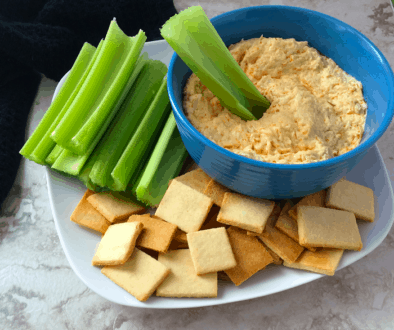 Even if you are keto you still want to be able to have a treat that won’t kick you out of ketosis. 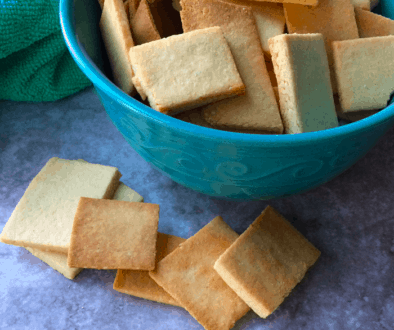 With this recipe, you can have your sweet treats without having the sugar-laden versions. There are sugar-free options on the market, but most of them are sweetened with maltodextrin and that will spike your insulin just like sugar. Thankfully my candy recipe is easy and delicious, so there is no need to resort to having commercially made candy. Ohhh Chocolate!!! I think I am in love. 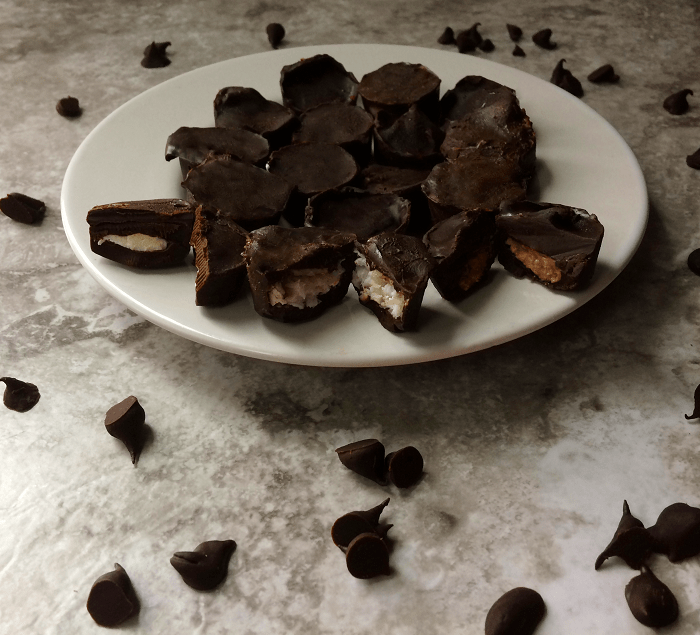 Nutrition for the recipe is on My Fitness Pal just search Certainlyketo-Keto Fun Size Peppermint Patty Cups, Certainlyketo-Keto Fun Size Almond Joy, or Certainlyketo-Keto Fun Size Peanut Butter Cups. Mold that I used is 6.1″ X 4.1″ with a 1/2″ deep well. One of my favorite candies before starting keto was york peppermint patties. So I just had to make a keto version of this great candy. This will satisfy that york sensation. The Mold I used is 6.1" X 4.1" with a ½" deep well yields 12 mini candy cups. Mix together softened cream cheese, heavy cream, and melted coconut oil until smooth. Add peppermint emulsion, if using extract you may have to keep tasting to make sure it is strong enough. I am sure of the measurements for extract since I used emulsion instead. Add sweetener to taste. I did not put an amount because some people like it sweeter than others, so just make sure you add a little then taste, if not sweet enough add a bit more to your liking. Put filling into a sandwich bag, squeezing filling into one of the corners. Cut a bit of the bag off the corner to make a hole for the filling to come out of. Make sure the filling is made before you make the chocolate; you need to work fast before the chocolate starts to harden up. To make the chocolate heat the unsweetened bakers chocolate in the microwave for 30 second intervals. Mixing after every interval until melted. Add melted butter to hot chocolate and mix well. Chocolate should be glossy and smooth. If it starts to look dull and is thick add a bit more melted butter and put back in the microwave for another 30 seconds. Add sweetener to taste. I did not put an amount because some people like it sweeter than other so just make sure you add a little then taste if not sweet enough add a bit more until it is sweet enough for you. You can add the chocolate to a sandwich bag if it is easier for you to add to mold like that. Add chocolate to a mold to cover bottom of well, so that there is just chocolate on the bottom and there is a well for the filling. Add filling into each well on top of the chocolate. Top with more chocolate to cover filling. Place the mold into the freezer or refrigerator to set for 5 minutes. Who doesn't love Almond Joy? If you are craving a coconut sweet treat than this is one for you. So yummy and satisfying. Mix melted coconut oil, shredded coconut and heavy cream together until smooth. Add chocolate to mold to cover bottom of well, so that there is just chocolate on the bottom and there is a well for the filling. Place almond slices over filling and press it down. Top with more chocolate to cover filling and almond slices. These will be set at room temperature after it sets but you can keep in refrigerator or freezer. My husband's favorite candy is peanut butter cups. So I, of course, had to make that too. I added our chia and flax seed peanut butter to make it that much more yummy. 1-1 ½ Tbsp. creamy natural peanut butter (you can also use our recipe for chia and flax seed peanut butter depends on how much peanut butter you would like to add to each candy. The Mold I used is 6.1" X 4.1" with a ½" deep well yields 12 mini candy cups..
You can use either natural unsweetened smooth peanut butter or our recipe for chia and flax seed peanut butter. You can put the peanut butter into a sandwich bag if this makes it easier for you to add. Add peanut butter into each well on top of the chocolate.